A psychic who claimed missing north-east man Shaun Ritchie had been murdered has been charged by police with harassment. Nikki Trott travelled to Fraserburgh from Luton in Bedfordshire to offer her clairvoyant services to his family earlier this year. But now Trott has been charged by police in connection with a “telecommunications offence”. It is understood detectives from Police Scotland asked officers south of the border to visit the 46-year-old’s home. In the week following the one-year anniversary of Shaun’s disappearance, Trott had been due to take part in a volunteer search of the area where he was last seen, but it was called off due to “unforeseen circumstances”. Shaun’s sister Nicole said later that the search – which had attracted huge public interest – had been cancelled for “personal” reasons. Shaun’s biological father Charlie Reid previously revealed he had been plagued by people claiming to be psychic mediums after he offered a £5,000 reward for information about his son’s disappearance. Mr Reid took steps to ban one individual claiming to be clairvoyant from a Facebook group he set up to appeal for help finding Shaun and pleaded with others not to intrude on his family’s grief. In the end, Mr Reid left the Facebook group as he struggled to cope. 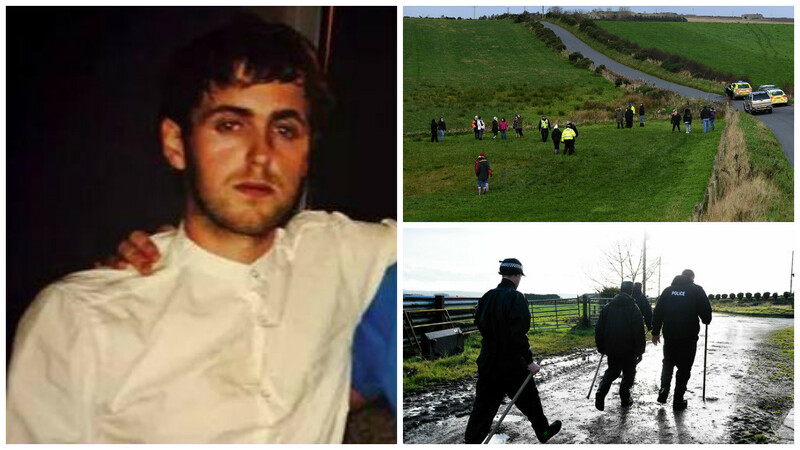 Shaun’s disappeared during a Halloween night out with friends in the north-east last year. The 21-year-old, from Fraserburgh was last seen near a farmhouse in the Strichen area in the early hours of November 1, 2014. In the days following his disappearance, several items of his clothing were recovered from a nearby bog. However, there have been no significant developments in the case – which remains a missing person investigation – since then. Police have repeatedly appealed to the public for information about the circumstances of Shaun’s disappearance, and are continuing an “intelligence-led” operation. When approached last night Trott said she had no idea who had reported her to the police.